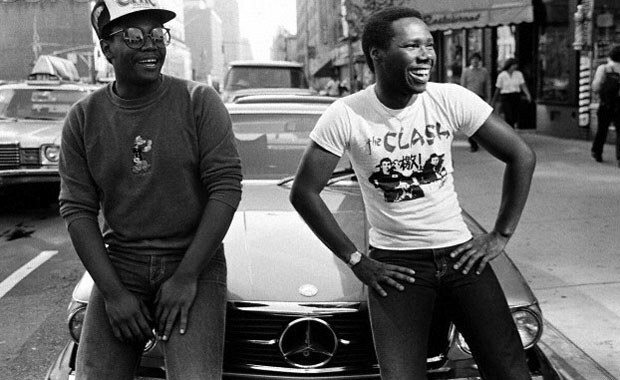 Nile Rodgers and Bernard Edwards began the 1980s on top. diana was a cross-format smash, an international sensation that delivered hits in major territories around the globe and would eventually sell upwards of ten million copies worldwide. Though the producers were initially distraught over Motown's remix, they couldn't deny the album was doing exactly what it was supposed to do: bring Diana Ross back to number one and raise their profile as credible producers who could generate hits for artists outside the CHIC organization. The industry anxiously awaited their next move. 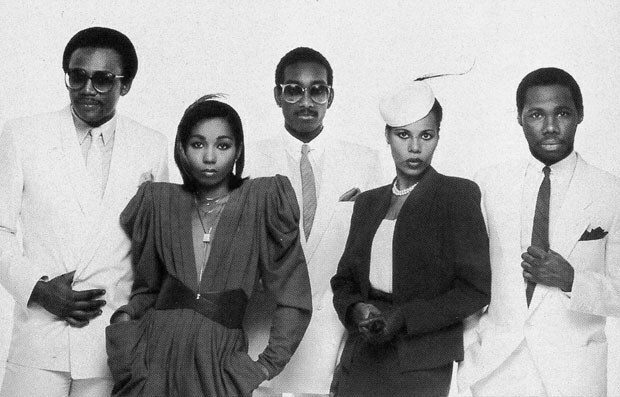 In the world of CHIC, 1980 also witnessed the producers' work on Real People (the group's fourth album), plus Love Somebody Today by Sister Sledge and King of the World by French outfit Sheila & B. Devotion, but all three albums scarcely replicated the seven-figure units of diana. Ironically, the biggest success Rodgers and Edwards had in 1980 beyond the diana album was with records that weren't even CHIC releases: Queen's "Another One Bites the Dust" brought the bass line of "Good Times" back to the summit of the pop charts (one week after "Upside Down" hit number one), Rodgers' guitar riffs inspired Blondie on "Rapture", and the Sugarhill Gang sampled the rhythm track of "Good Times" on "Rapper's Delight" -- a crucial moment in the mainstream's introduction to rap and hip-hop. The next couple of years would be marked by trial and error. 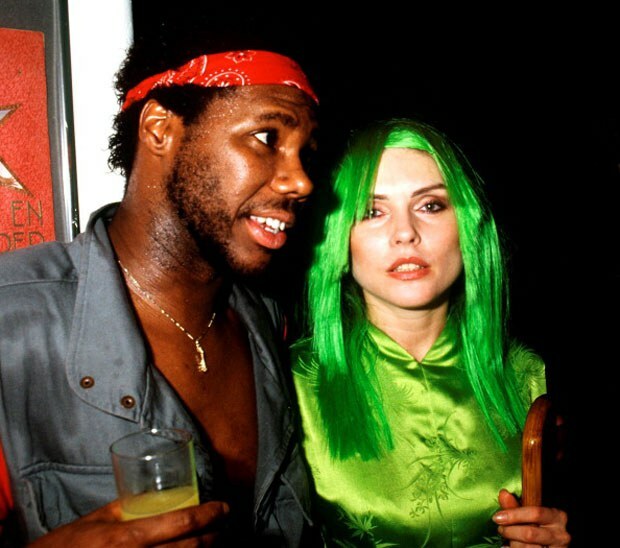 After diana, Rodgers and Edwards produced Debbie Harry's solo debut, KooKoo (1981), an album that went gold and earned critical acclaim even though it confounded some fans of both Blondie and CHIC. They also shopped tracks for Fonzi Thornton and produced an entire album for Johnny Mathis that was ultimately shelved by Columbia. (Over the past few years, a few tracks from the latter project have surfaced on both CHIC and Johnny Mathis compilations.) A one-off single with Carly Simon called "Why" shot to the U.K. Top 10 and appeared on the Soup for One (1982) soundtrack, which featured the producers' work with Teddy Pendergrass ("Dream Girl") and a cut from the Thornton sessions ("I Work for a Livin'"). Beginning with Real People, CHIC's record sales declined with each successive release. Take It Off (1981), Tongue In Chic (1982), and Believer (1983) got lost as dance music and R&B reshuffled and grew into new forms during the early-'80s. By the end of 1983, Rodgers and Edwards would dissolve CHIC as both a group and a production entity, even though much of the pop music that was beginning to hit the charts was unequivocally CHIC-influenced, from Culture Club to Duran Duran to Madonna's eponymous debut. However, the CHIC story was far from over. The producers re-united in 1992 for CHIC-ism while hip-hop artists who were raised on CHIC began excavating the group's catalog for samples. Both MC Lyte and Salt-N-Pepa sampled "Upside Down" in 1996 on "Cold Rock A Party" and "Upside Down (Round 'N Round)", respectively. A year later, "I'm Coming Out" powered the chart-topping success of "Mo Money Mo Problems" by The Notorious B.I.G. 20 years after "Le Freak" hit #1, Will Smith brought the CHIC sound to number one with his sample of "He's the Greatest Dancer" on "Gettin' Jiggy Wit It". Through samples, a younger generation of acts brought the brilliance of Nile Rodgers and Bernard Edwards to a new audience. "I can only presume that they were looking for the best sources of hot grooves," says Patrick Adams about the prolific sampling of CHIC by hip-hop acts. "After James Brown it doesn't get much better than Nile, Bernard, and Tony." In a 1979 interview with Rolling Stone, Rodgers made a stunning prophecy, "Fifteen years from now, maybe CHIC will be thought of as really innovative" (18 April 1979). Over the past three decades, the consensus that Rodgers and Edwards were innovators has only proliferated across all factions of the global music community. Dionne Farris: What’s real always is, what’s not real, never was. Nile Rodgers and Bernard Edwards had the archetypal disco sound. Their sound stood apart and held its own. Moreover, "Good Times" as used by the Sugarhill Gang was the introduction to hip-hop for most people. With what hip-hop means to the world today, Nile Rodgers and Bernard Edwards' work is required knowledge for all music enthusiasts. Vincent Henry: Once each generation goes through whatever social, creative, or artistic phases they go through, they reach a point where they want to get another level of sophistication. They look back to the previous generation. Nothing represented that funky sophistication better than CHIC. MC Lyte: Outside of it being great music and bringing back great memories, CHIC definitely influenced so many of us in the generation that I come from. Puff and his whole entourage were able to tap into all of these songs that felt really good to our generation and to others. I would attribute it to classic music that stands the test of time and then also the Bad Boy collective of producers tapping into it. Kathy Sledge: Some things you don't even need to try and do over. It's a huge compliment when you hear your music or your voice used for another plane. In Will Smith's case, he took a groove that he thought was the epitome of a clean groove and used it in his record. I'm sure that whole new market that never heard "He's the Greatest Dancer" said, "Where did that come from?" It reintroduced my sisters and myself and Nile, and my voice. It's funny how things come around full circle. 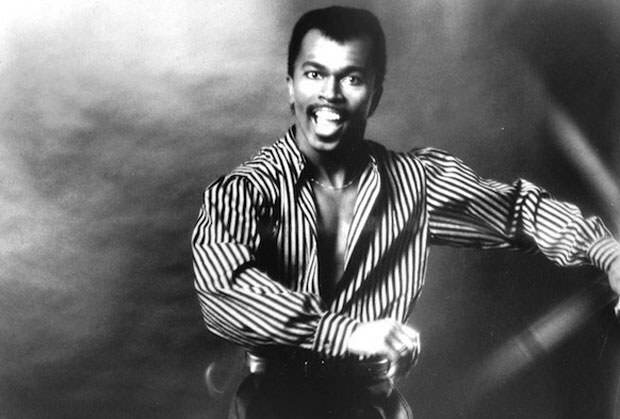 Fonzi Thornton: Janet Jackson sampled "I Work For a Livin'" for a song that she did called "Make Me" (2009). There was a song Luther did with Jimmy Jam and Terry Lewis called "Shine" where they sampled the track to "My Forbidden Lover". Everybody's been sampling CHIC forever! Vincent Henry: When I came into Change, I realized that they were very influenced vocally by CHIC's unison singing. You hear it throughout "A Lover's Holiday" and "Paradise". Then Change became its own thing. Jimmy and Terry were so astute with Change on "Change of Heart". The Minneapolis thing is obviously there for them but they paid attention to what everybody was doing. Don Was: Was (Not Was) had a song, "Tell Me That I'm Dreaming". I was thinking of Bernard playing that thing. The version that's on the album has got a lot of clutter to it. We were trying to mess with people in clubs. Then it was like, "Stop frightening the DJ, man, and just do a decent club record!" I used "Good Times" as a template for the 12" version. It's a different song but I used the same principles of arrangement for that. It got us onto the R&B charts for the first time ... just by applying what Nile and Bernard were doing! André Cymone: It’s hard to say exactly how their productions influenced me, I just know they did because they were creating a sound that, before them, I had not quite experienced. I think their work as producers and musicians influenced me more in a subliminal way because I just tried to personally breathe in the music of the moment as opposed to studying the music of the moment. When I heard it I would acknowledge it but wouldn’t always check to see who it was. I'm sure it went in one ear and came out through the music I was working on at the time. What I learned from them was you didn’t have to stick by any preconceived production template -- you could create your own with guitar, synths, or horns leading the way. Patrick Adams: Much to their credit, Nile and Bernard created their own lane of music. The sound was an incredible original mix of funk, pop, jazz, and R&B. Everybody could find something to like and it made you move. Irene Cara: They had a groove that was just the bomb. They had a fusion of dance, funk, R&B, pop, and rock. A lot of bands copied that sound and had hit records because of it. I even think Prince got a little bit of them. By the time he came on in the '80s, he had his own unique way of interpreting it, but as far as that fusion that Nile and Bernard had, Prince also had it in terms of punk, rock, funk ... all of that. Ray Chew: Nile and Bernard are great producers and songwriters who were able to have a great impact on that period of time that we call disco. In a unique way, they added the soul and funk style to disco so it wasn't wooden. The records that they did will last forever. Derek Bramble: They captured a city. They made New York their playground. They just ran the town from the time the first single came out. It just encompassed so much but it always derived from the music. Between the three of them, that was a hell of a rhythm section. Bernard was a quiet guy. He wasn't very in your face. Nile was a great guy with a great smile and was great fun. Tony was just a wonderful, lovely lunatic. I loved him. They all had a sound that was amazing and wonderful. Kathy Sledge: Bernard seemed to be the glue of CHIC. Nile had a sense of freedom and playing and creativity. Tony just exuded a coolness. Tony was a huge part of that pocket, that groove. All of those were essential puzzles pieces to what made CHIC. Time will move on and I do believe that some things will keep going. Nile and Bernard's music will do that. Alfa Anderson: I realized that what we were doing, the diana stuff and the CHIC stuff, was cutting edge because it brought people together in a way that people had not been brought together. It's a part of my history. It signifies that I've been here, that I've contributed, and that I've left my mark, however small or however great. My energy is there. Fonzi Thornton: When I hear these songs today, I am so proud of what we did. I'm proud of Nile and Bernard and I'm proud of Alfa and Luci, I'm proud of Michelle Cobbs. We had a wonderful opportunity to create something that's probably going to outlive all of us. These songs are like towers and we built them. Sandra St. Victor: They had a recognizable sound, a strong formula, that simply worked. Their hooks were immediately memorable, strong unison melodies accentuated by Bernard's bass lines and Nile's funky guitar riffs. Instant hits. Their music and production work spans genres and defies definition. They've left an indelible mark on the industry. They'll be remembered as kings of disco, princes of pop, and hitmakers of everything. John Oates: They're great producers, everything from disco to R&B to rock and roll to funk. That's a unique ability that's not easy to do. There's a million different qualities that it takes to be a great producer. It ranges from getting out of the way to imposing your will on the artist and everything in between. André Cymone: I think they were true artists who made it a point to step outside the lines and create their own sound and they achieved that. They basically gave birth to the cutting edge approach to the modern day rhythm section and they deserve credit for that. It’s a formula that has had a lasting and enduring effect on music that I think will always remain, in some form or fashion, part of our musical consciousness. Tomi Jenkins: Nile and Bernard, God rest his soul, brought elements to music never heard before. The marriage of bass and guitar was sacred. The lyrics, the inventiveness of the productions were always top-notch. They were, and remain, greatly respected for the musicianship they displayed. They will never go out of style.